New Zealanders taking out Australian citizenship automatically become dual citizens (Photo: NZ Flag Facts). Oz Kiwi agrees with former New Zealand Foreign Affairs Minister Gerry Brownlee who said, “New Zealanders intending to live in Australia ought to become Australian citizens, [if at all possible]. Doing so would not diminish their New Zealand citizenship, but would give them better rights in their adopted country”. New Zealanders taking out Australian citizenship automatically become dual citizens so there really is nothing to lose. And you can still support the All Blacks! New Zealanders arriving in Australia after 26 February 2001 are automatically granted a Special Category Visa (SCV) upon clearing Australian Customs [subject to meeting the character test]. The SCV allows the holder to reside and work in Australia indefinitely, but is defined as a temporary visa under Migration Act (1958). In order to be granted Australian citizenship you must be either a Protected Special Category Visa-holder, or granted a permanent visa. able to renew your partner’s 461 visa. Protected Special Category visa-holders, Australian permanent residents and citizens can sponsor their partner ($7,160) and dependent children (from $1,795) for a permanent visa. Listed below are some of the options for New Zealanders to become an Australian citizen. Contact the Department of Home Affairs or a migration agent for further assistance. Oz Kiwi recommends that Protected Special Category Visa-holders (PSCVs) take out Australian citizenship. This is especially important as the Australian government is constantly reducing the rights of non-citizens. have a Certificate of Australian Residence. 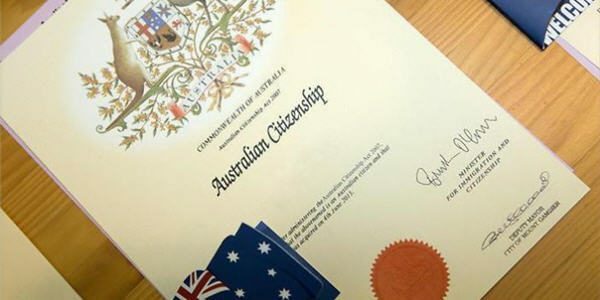 Protected Special Category Visa-holders (PSCV) can apply for citizenship if they have resided in Australia for the four years immediately prior to applying. 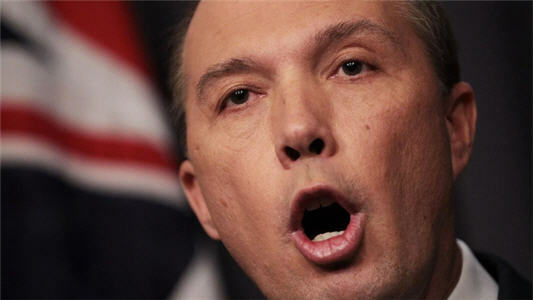 The proposed citizenship changes do not affect PSCVs as they are considered permanent residents whilst in Australia. The processing time for citizenship by conferral (lodgement to ceremony) is 16 to 23 months. The application fee for an Adult is $285, or $40 for Pensioner Concession Card and Health Care Card holders. Children aged under 18 and Adults aged over 59, $180 or $20. Protected Special Category Visa-holders will need to sponsor their non-New Zealand citizen partner and children for a permanent visa. They can no longer apply for the NZ Family Relationship Visa (461). New Zealanders are eligible for a Resident Return Visa (RRV) if they cleared Australian Customs on a New Zealand passport prior to 1 September 1994. They are eligible even if they were only on a short holiday or travelling on a parent’s passport. They must be living in Australia now to apply for RRV. Family members must make their own RRV application, if eligible. If not, they can be sponsored for a partner or child permanent visa. It may be cheaper to apply for the NZ 189 Visa. RRV applications take between 2 and 67 days to be processed and costs $375 to apply online. New Zealanders can now apply for their initial RRV online. Submitting a paper application from will incur an $80 non-internet fee. If you re-enter Australia with an expired travel facility you will be granted a Special Category Visa. This will delay you applying for citizenship. The primary applicant can include their partner and children on the NZ 189 visa application. Partners and children only need to meet the standard health, character and security checks. 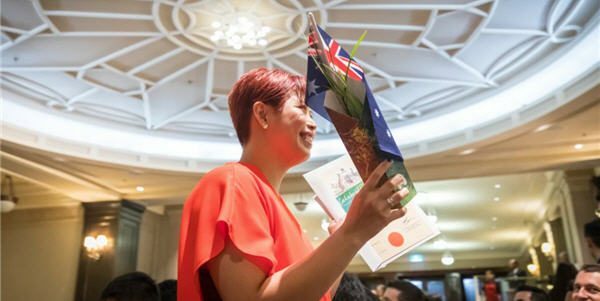 Applicants for the 189 visa can apply for citizenship after one year, even if the proposed citizenship changes are passed. The Department of Home Affairs aim to process 90 per cent of New Zealand 189 visa applications within 10 to 16 months. Visa Application Charges (VAC), primary applicant $3,750, partner and child aged 18 and over $1,875, child aged under 18 $945. The VAC is paid in two instalments, 20 percent payable when lodging the application. If you work in a job that is on the Skilled Occupation List you may be eligible to apply for a skilled migration visa. Look up your options for a skilled migration permanent visa. Contact the Department of Home Affairs or a migration agent for further assistance. You cannot acquire Australian citizenship through a grandparent. Find out if you acquired Australian citizenship by birth. The above “Your options for Australian citizenship” information should not be relied on as an alternative to advice from the Department of Home Affairs, or a professional immigration services provider.